Photo of my dad with his dad, Ray Barnes, in front of the family home on Main Street, Logan, West Virginia. 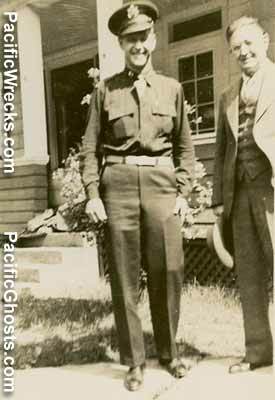 Probably in 1944 right after his return to the States. Photo via Charles Barnes.